Just roll Solexx greenhouse covering over your frame, cut and attach! Strong and shatter-proof, double-walled Solexx™ polyethelyne covering protects your seedlings and plants from strong winds, hail, snow and other harsh weather conditions season after season. Mold and mildew will not grow on the plastic's smooth surface so, years later, your greenhouse will look like it did when you first built it. The insulated greenhouse covering, let's you garden all year in most climates. Solexx Rolls are 52.25" wide and come as long as 120' (shipped UPS). Cut the continuous twin-wall covering to the precise length you need for fewer seams and to eliminate waste. The flutes run the length of the material for superior strength. Choose 3.5mm thickness for maximum light transmission or 5mm if you live in an area with heavy snow fall or high altitude. Watch out for imitations, always check the warranty period. Use only UV certified panels! Note: If you are interested in ordering a custom length, we are happy to accommodate you. Please call 1-800-825-1925 or send an email to info@greenhousecatalog.com with your desired length and your mailing address, and we will provide you with a quote by the next business day. 3.5mm, $7.19 per linear ft.
5mm, $8.96 per linear ft.
Strong and shatter-proof, double-walled Solexx protects your seedlings and plants from strong wind, hail, heavy snow, and other harsh weather conditions season after season. Unique Solexx paneling will not yellow, scratch, or tear. Mold and mildew will not grow on the plastic's smooth surface, so years later your greenhouse will look like it did when you first built it. Strong double-walled Solexx panel construction scatters available light creating even, bright light inside your greenhouse. University testing proves diffused light accelerates growth and prevents burning in plants! Solexx is flexible and can be cut, rounded, or scored to fit perfectly to your structure. Easily cover any structure. With Solexx continuous rolls, you buy just what you need with a minimal amount of seams. Fewer seams provide better insulation and less work! 1. Frame Spacing: We recommend that the framing or trusses that will support your corrugated greenhouse panels be placed 16"- 24" apart on center in order to provide maximum support. 2. Flute Direction: Solexx paneling can be attached with the flutes running in either direction on your structure. We've found placing your greenhouse panels so that the flutes run perpendicular to your frame provides the maximum amount of strength for your structure. 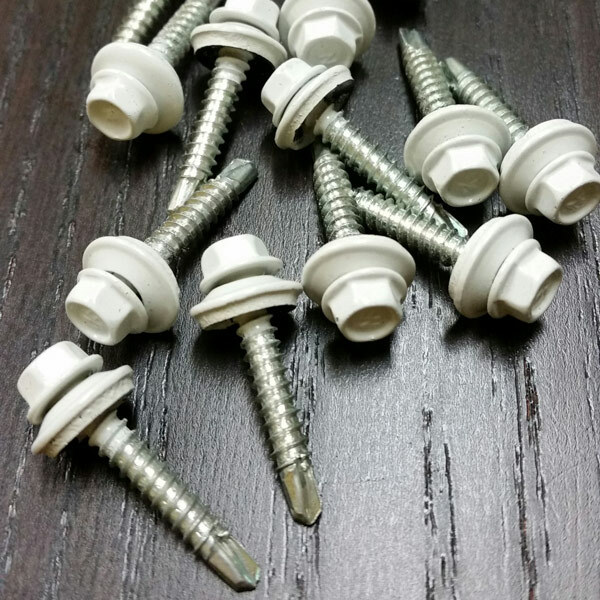 When attaching the screws to plastic framing or wood, we recommend using our 1" screws with neoprene washers, which helps prevent water from leaking into the flutes of the greenhouse panels. Our ¾" self-drilling screws are for installing the greenhouse panels into a metal greenhouse frame. We suggest placing the screws about 18" apart on the stringers and about 9" apart on the perimeter or any overlapped joint. Be careful not to over-torque the screws, or you may crush the greenhouse panel. The washers should just make a dimple in the greenhouse plastic. 3. Cutting the Greenhouse Panels: The panel is easily cut using a sharp thin utility knife or saw. It is helpful to attach the panel to your structure first, then use a sharp thin utility knife to follow the frame as a cutting guide. It works well to cut the panel with two passes of the knife. The 1st pass is with light pressure to score the panel and set the path the knife will follow for the 2nd pass. The 2nd pass would be done with more pressure to cut through the panel, while making sure the knife is following the score line of the 1st pass. 4. Using U-Trim: On all 49.5" ends of paneling where there are exposed flutes, you need to insert a ¼" bead of IS800 "clear" Silicone Rubber Adhesive Sealant (caulking) into the flutes, to prevent water intrusion and to bring the paneling to it's maximum insulation factor by trapping air in the middle of the panel. Next, slide a U-trim over the end of the panel for a permanent cap. Secure U-trim with small phillips screws by poking a small starter hole in one side of the U-trim with an ice pick or small nail and screwing through one side of the U-trim and into the Solexx™ paneling. Place each screw approximately one foot apart. Put caulking in all the holes you created to stop water penetration. 5. Attaching the H-Channel: Panels can be joined together using H-Channel, which seams the two panels together and helps to prevent water leakage. 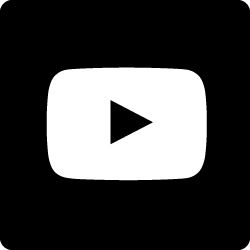 Attach one panel to your frame while leaving about ¼" gap in between that panel and the next one you are attaching. This leaves enough space for you to slide the H-channel into place. Keep the screws approx. 1" from each side of the H-Channel. Do not screw into the H-channel. **Do not use H-channel on a roof, unless it is one continuous H-channel running from side-to-side. No H-channel clips on a roof. If H-channel is difficult to slide on, try spraying the groves of the H-channel and the edges of the panels with a little WD-40, Pam or try rubbing a dry bar of soap on the edges of the panels and tap on the end of the H-channel with a rubber mallet. 6. Folding the Greenhouse Panels: It's not necessary to cut Solexx corrugated plastic greenhouse paneling when installing over roof peaks or around corners. You can score the greenhouse covering by using a straight edge and a small blunt object such as a Philips screw driver or handle of a butter knife (be careful not to cut the plastic), and then fold the panel along the scored line. Solexx can be scored either in the direction of the flutes or across the flutes. 7. Changes in Size: Apply the paneling when the temperature is at the mean (Yearly average) temperature for your area to allow for expansion and contraction. 8. Cleaning Solexx Greenhouse Covering: Wipe down the greenhouse panels with soap and water once a year for maximum light transmission efficiency and to keep your greenhouse looking great! 9. Other Applications: Although corrugated plastic greenhouse panels do not have "building code certification" they have been successfully used for deck coverings, carports, swimming pool covers, porch enclosures, and wood storage. Some have had good results, although we have found that it is not always the most suitable product for these applications. PLEASE NOTE: Do not use the panels to square your structure. Solexx™ panels and rolls may not be perfectly square. If you have any additional questions about Solexx Greenhouse covering, please don't hesitate to call us at 1-800-825-1925 or send us an e-mail. Can I buy the Solexx greenhouse covering separately? How do I install the covering? What is the best direction to apply Solexx panels and rolls? What do I do where the panels come together? What direction do the flutes run? How do I cut Solexx glazing? How far will the panels curve? What do I do at the peak of my greenhouse? The greenhouse covering is not clear. Isn't it too dark inside to promote growth? Does the covering break down in the sun? Will the greenhouse covering discolor? How do I clean the paneling? How does the greenhouse covering hold up in snow and cold weather? What type of paneling would be best in my area? How can I heat my greenhouse? Is it expensive to grow all winter? How well does Solexx insulate? What is the R factor? What can I grow in my greenhouse? The plastic Solexx greenhouse covering is made of high-density polyethylene extruded with the structure of corrugated cardboard but with the enduring qualities of plastic. The covering is insulated and can withstand virtually any weather condition. Yes. Purchase Solexx panels in 4' x 8' and 4' x 12' sheets (the actual the size is slightly larger) or you can buy continuous rolls of the twin-wall paneling. You can use them to build a custom greenhouse or to cover an existing frame. The frame supports should be spaced approximately 2' apart. In addition to the Solexx covering, we sell H-channel to join the panels, U-trim to seal the open flutes, and galvanized screws to attach the covering to your structure. The panels come flat but can be rolled in a cardboard drum for UPS shipping. After shipping, the panels easily unroll and become flat once again. Screw directly through the paneling and into the frame using 1" wood screws or 3/4" drill screws when going into a metal frame. Screws should be about 6" apart around the perimeter and 18" apart in the center - generally about 32 screws for each 4' x 8' panel. Heat and cold will cause some contraction and expansion, so you will want to install the covering on a mild day. Solexx glazing has a UV additive throughout the material, so all sides of the material are protected from the sun. They can be attached to your frame with either side exposed. Install the glazing either horizontally or vertically, but you get the strongest support when the flutes run perpendicular to the frame. We recommend the studs or trusses be no more than two feet apart for the optimum panel support. There are two options: H-Channel or overlapping. H-Channel is used to join the long side of the panel together and should run perpendicular to the greenhouse studs. It is meant to float between the panels to allow for expansion and contraction, so no screws go through the H-Channel. The H-Channel is held in place by attaching screws 1" away from each side of the H-Channel. A second option is to overlap the panels. Solexx panels are designed with an extra 1 1/2" so you can overlap the panels by shingling them. The flutes run the length of the panels or roll. So if you order a 4'W x 12'L panel, the flutes are 12' long. The same applies for the rolls. If you order a 4'W roll cut to 20' long, the flutes will be 20' long. The material can be easily cut to size using a utility knife or a sharp kitchen knife. The panels are very flexible and curve easily around tight radiuses. In fact, the material can be folded over peaks and around corners for a water-tight seal. No, actually the greenhouse covering transmits 70-75 percent of the available light. Most plants only need 40 percent light to grow, but 70-75 percent available light is the optimal growing range. Even on cloudy or rainy days there is usually enough light for growth. The panels diffuse the light evenly throughout the greenhouse eliminating "hot spots" and shadows. Solexx has a UV additive throughout the material the extrusion process. Solexx is covered by a 10-year limited warranty against ultraviolet breakdown. 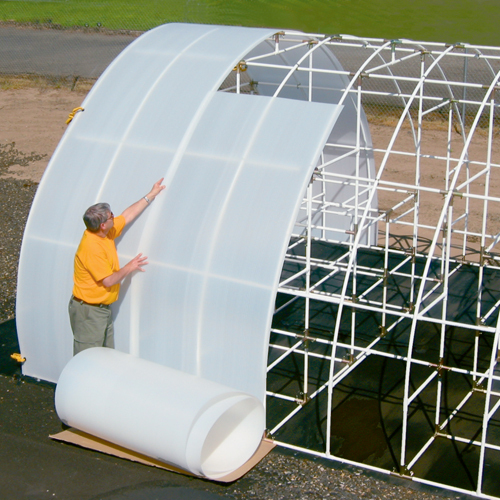 Solexx greenhouses have been in the field for over twenty years and there has been minimal UV breakdown. All plastics do eventually break down when exposed to direct sunlight for extended periods of time, however, the panels are easy and inexpensive to replace unlike polycarbonate greenhouse panels. In high sunlight areas, the life of the panels can be extended by using a shade cloth and/ or placing the greenhouse in a partially shaded area. No. The covering will not yellow, mold or mildew. The material will not scratch so you will not have the "cloudy" appearance as with other types of greenhouse paneling. Solexx can be rinsed or wiped clean without worry of scratching. The glazing is impervious to chemicals, so you can safely wash it with a mild detergent or a 1 to 10 bleach solution. Solexx greenhouses are undamaged after being covered in several feet of snow and exposed to subzero temperatures for most of the winter. Snow tends to slide right off the slick paneling material. Many greenhouse materials yellow from the sun or cold but Solexx is resistant to yellowing. The greenhouses can be heated with propane or electric heaters with thermostatic controls. In mild conditions, 5-gallon covered black buckets filled with water will trap the solar energy during the day and release heat for most of the night. Another option is adding rabbits to your greenhouse. Rabbits put out 8 BTU's per hour which amounts to roughly 2.5 gal of fuel in 6 months. Rabbit manure also adds heat and makes a great non-burning fertilizer. For more complete information, there is a book available called Solviva by Anna Edey. The cost of heating your greenhouse will depend on your area and what you plan to grow. Many plants require only a 45-degree nighttime temperature. The 3.5mm Solexx covering provides more insulation than most other hobby greenhouse materials (see chart below). Many people are able to heat their greenhouse all winter for under $20.00 a month in the coldest months. Heating costs can be reduced by using buckets or plastic jugs of water or by lining the greenhouse with a layer of Visquine or bubble wrap in the cold months. To find out what size heater is right for your greenhouse, use our heater calculator. How well does Solexx Insulate? What is the R-Value (R-Factor)? R Value - the measurement of ‘insulating ability’ of the material. The higher the R Factor number the greater the insulation value. U Value - the measurement of ‘heat loss’ through the material. The lower the U Value the less heat is escaping. 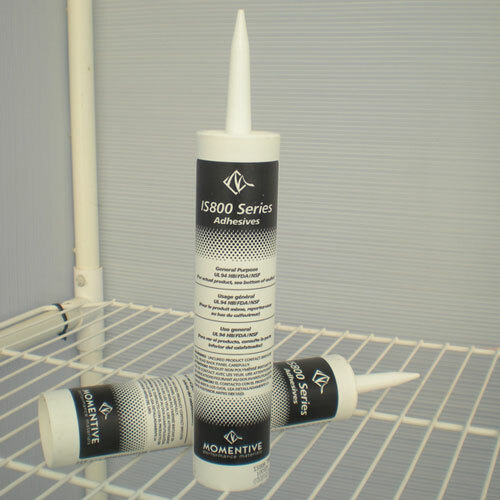 *Independent testing, Solexx with caulked flutes. There are numerous vegetables, herbs, flowers, tropical, exotics and cacti that flourish in a greenhouse environment. The book The Greenhouse Gardener's Companion is an excellent resource. What type of glazing would be best in my area? Solexx glazing is available in 3.5mm (Solexx XP) and 5mm (Solexx PRO) thicknesses. The 3.5mm panels are recommended in most areas as they provide more light transmission. The 5mm panels are used in very cold climates (for added insulation) and at high altitudes. The 5mm paneling is also recommended on custom applications that require extra support. If your still have questions regarding Solexx Greenhouse Covering or need some questions answered before your purchase, just call our toll-free number 1-800-825-1925 and ask to speak to a friendly customer service specialist. Box came promptly and wasn't damaged. Solexx is easy to cut, fasten, and can be installed in any direction. Made a custom greenhouse out of an old shed. You are skeptical at first because you can't see through it, but the glow inside is what makes it awesome. My only knock is the price.